Star Wars has been entertaining fans since the 1970s. Prequels, sequels, TV series, and more have been spawned from the first film which told the story of a young Jedi named Luke Skywalker. The series had an injection of new life with a contemporary trilogy coming to a close this December with Star Wars Episode 9. 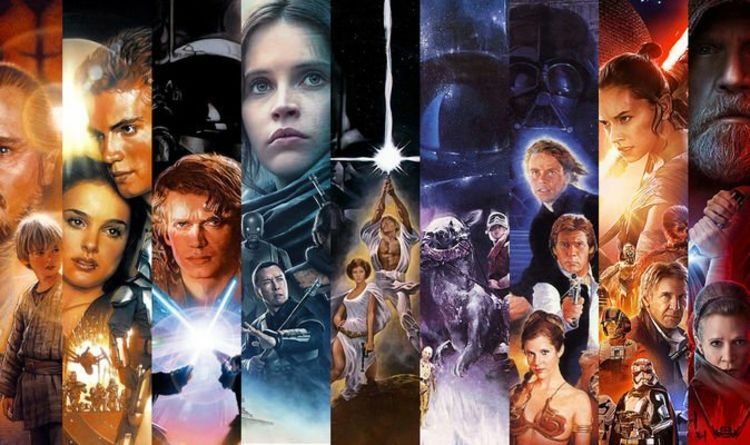 Will new films be set before Skywalker saga? StarWarsNews.net creator John Hoey wrote: “A contact, who has worked on every Disney Star Wars film, has shared some interesting information. “It is not the Rian Johnson trilogy, it is the Game of Thrones guys’ first movie, and it is set during the Old Republic, as Disney wants to open up the Star Wars timeline and appeal to a more ‘Game of Thrones‘ style audience. When asked about the certainty of the leak, the source said: “Filming starts in the Fall and art departments are in design phases now as the script is being finalized. The upcoming series of Star Wars films will be made by the Game of Thrones’ showrunners David Benioff and DB Weiss. STAR WARS EPISODE 9 RELEASE DATE UK: WHEN IS STAR WARS IX OUT? Episode 9 will be the end of the Skywalker saga. Fans have been waiting with bated breath for news of the sequel – with the title and trailer still having not been released and there are almost no plot details confirmed. Star Wars holds a Guinness World Record as the most successful film merchandising franchise. The total value of the Star Wars franchise was estimated at £49.32 billion ($65 bn) in 2018. Currently, Star Wars is the fifth-highest-grossing media franchise. Episode 9 will be directed by JJ Abrams, from a screenplay co-written by Abrams and Chris Terrio. Despite Carrie Fisher’s death in 2016, the actress will appear in Episode 9 via unused footage from The Last Jedi.